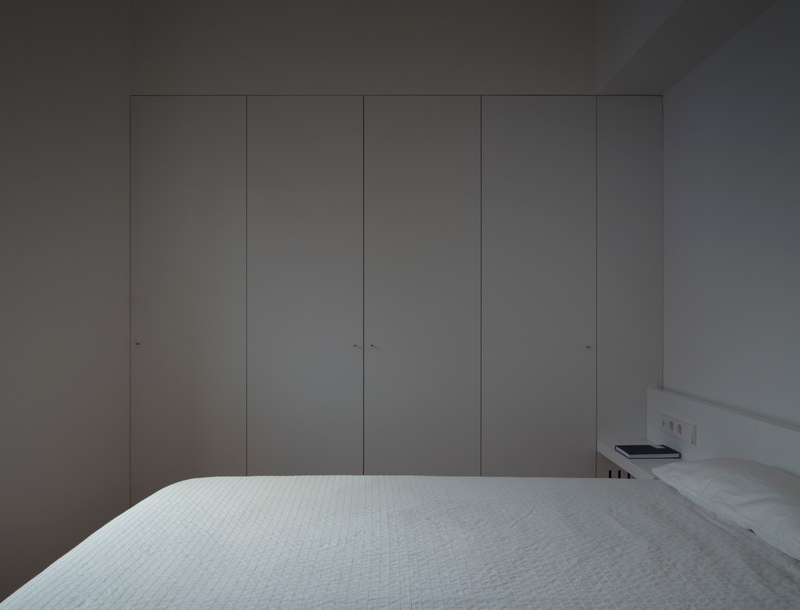 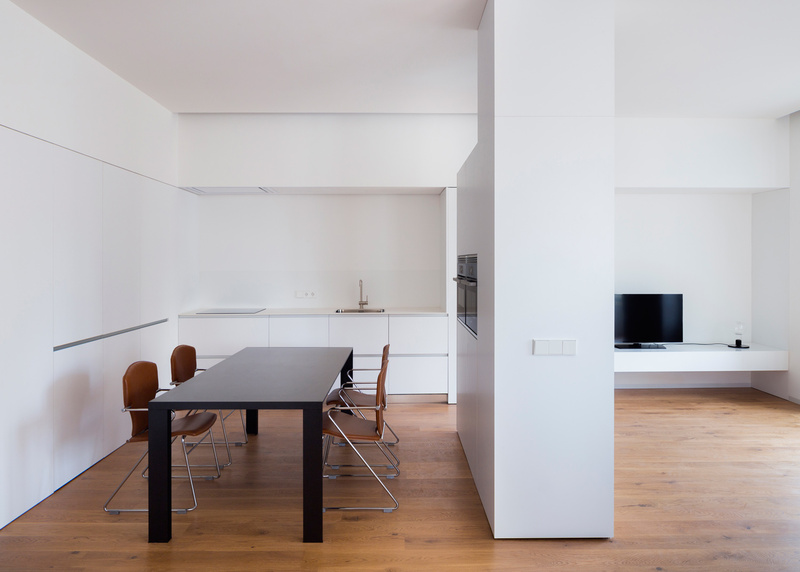 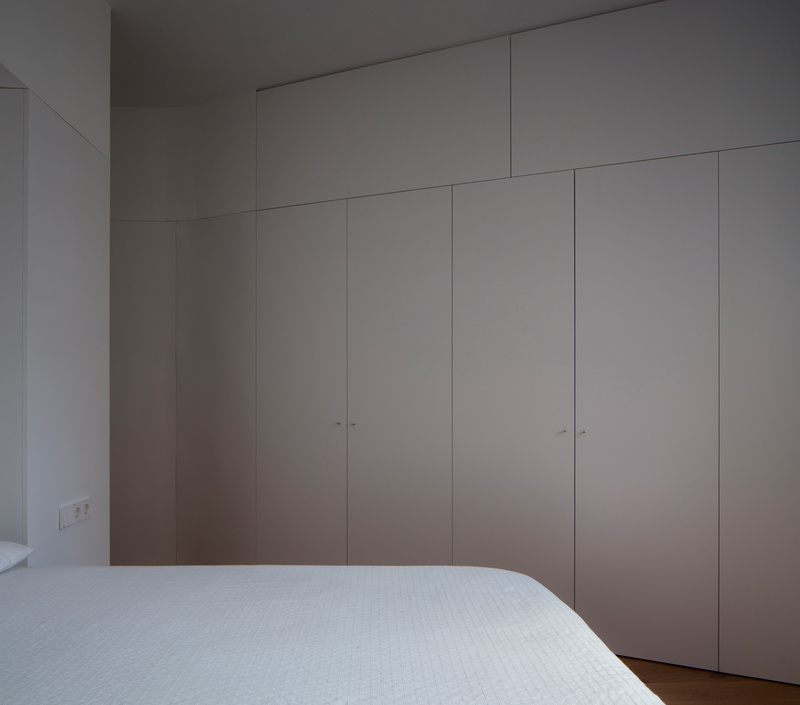 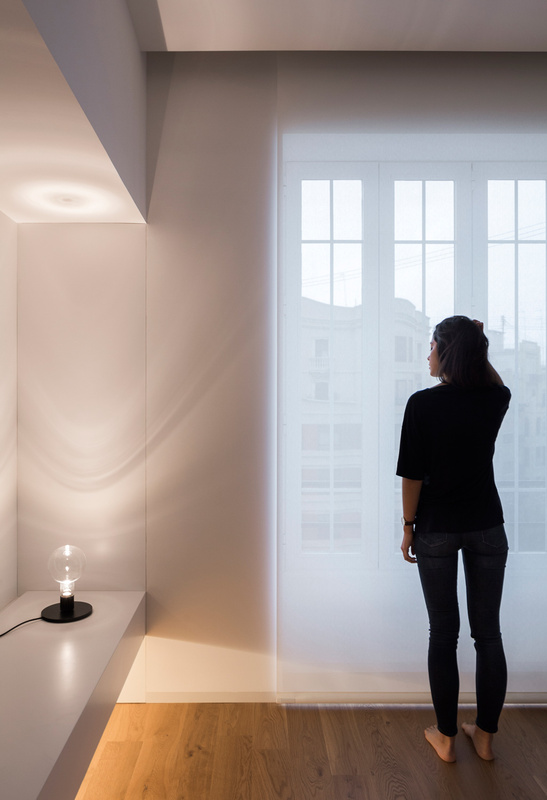 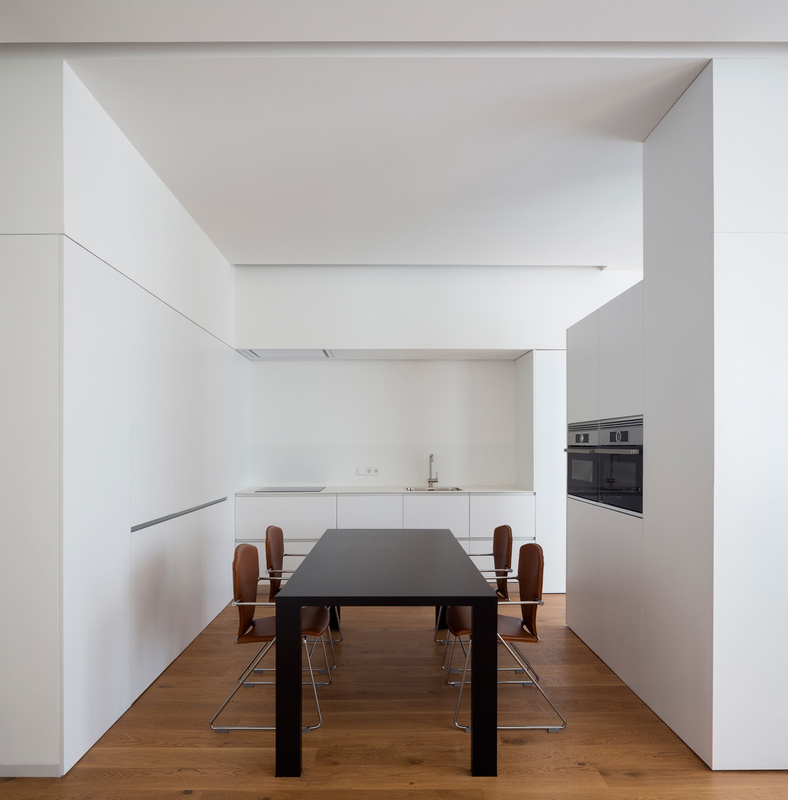 Valencian architects Dot Partners renovated an early 20th century apartment in the historic Eixample district of Valencia. 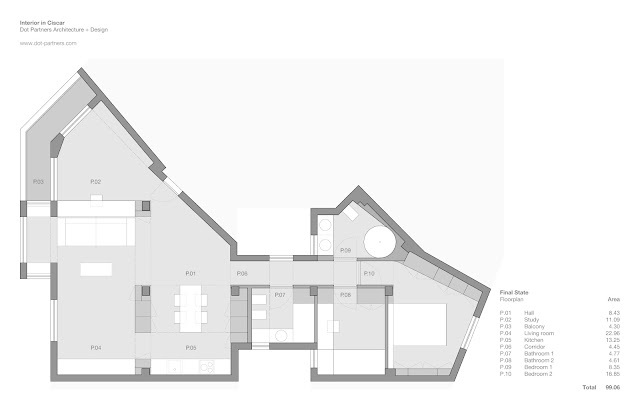 The complex layout geometry was approached with simplicity and clarity of lines and materials. 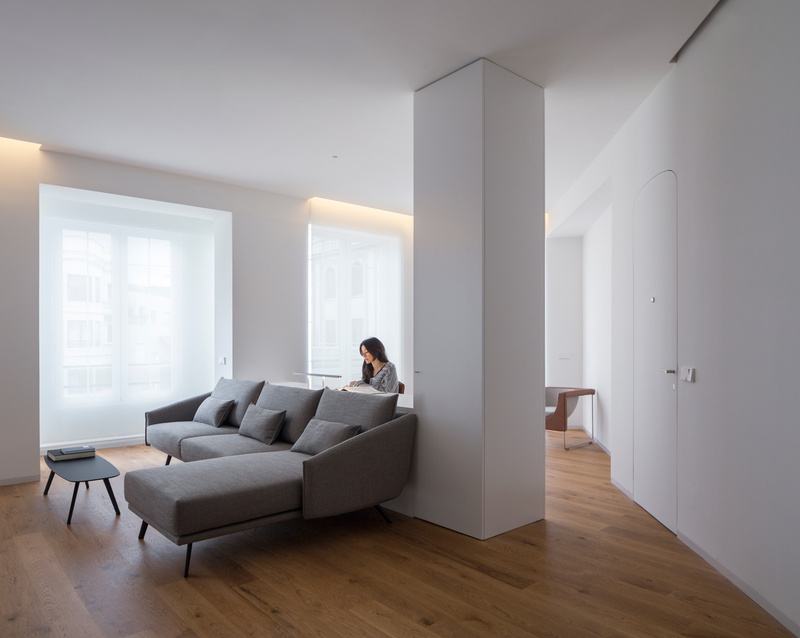 The initial spacial organization was inverted, with new common and private spaces creating a relaxed and harmonious atmosphere. 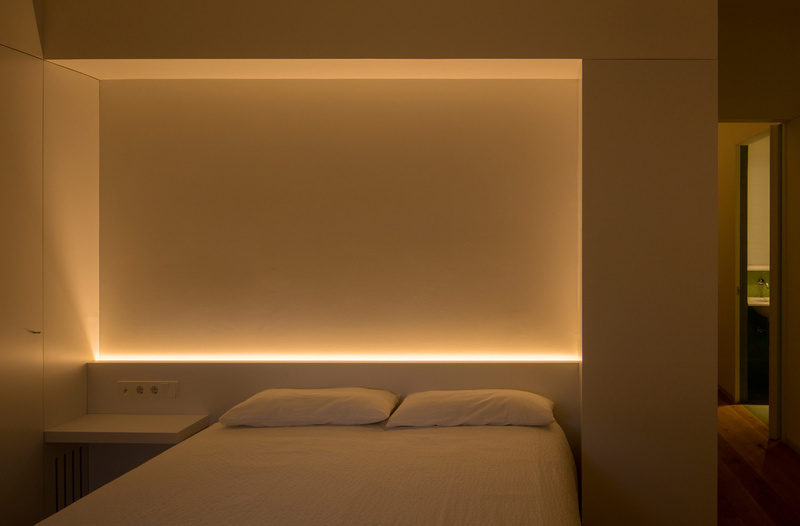 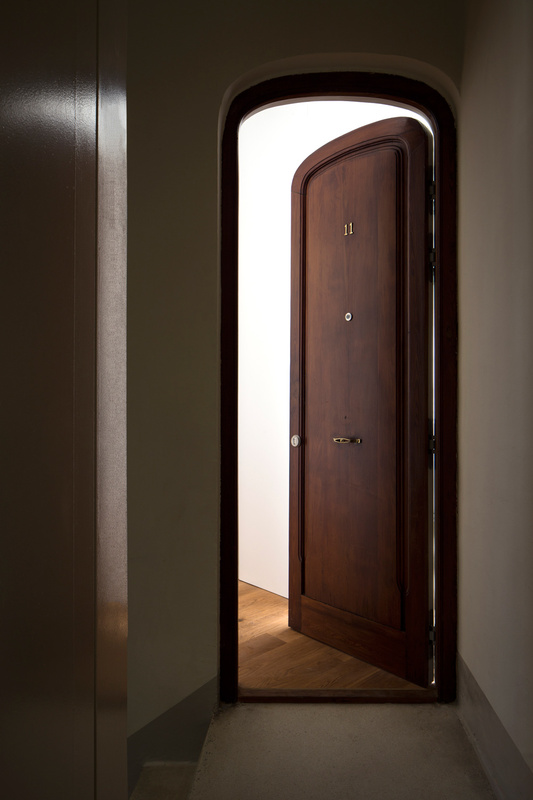 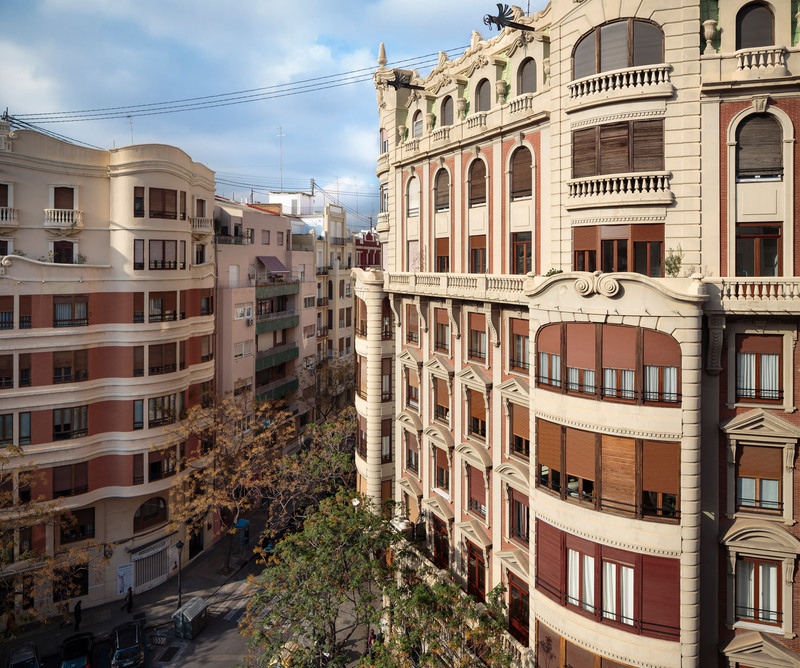 The renovated house is located in a building in the historic Eixample district of Valencia, created in the early 20th century and bearing witness to one of the most outstanding periods in Valencian architecture. 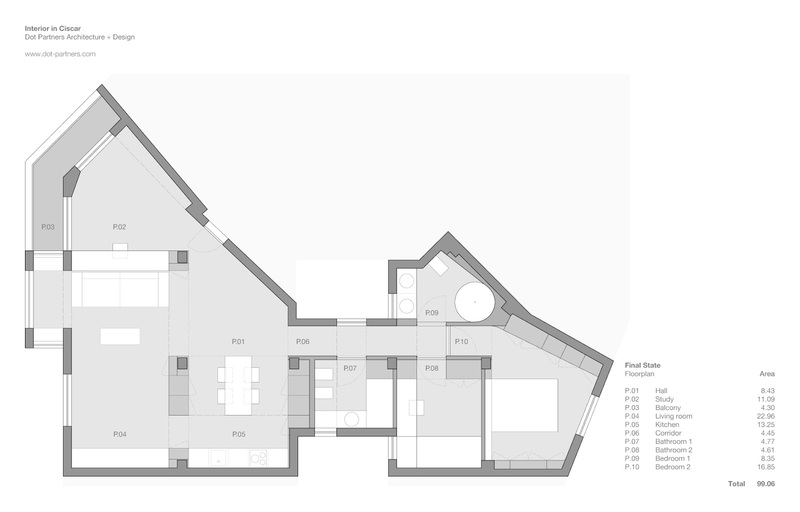 The city blocks in the area are configured with a large courtyard in the interior and a perimeter volume built with chamfered corners, giving the impression of a compact structure to the public space. 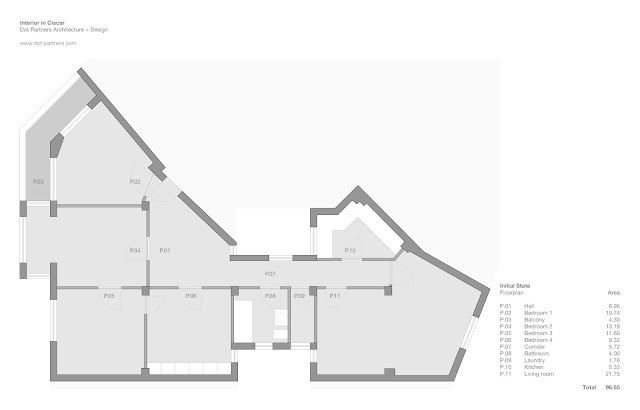 The position of the house on one of the chamfers of the block gives rise to a complex geometry, in which the spatial organization was characterized by having the bedrooms recessed on the main façade while the living room overlooked the interior courtyard of the block. 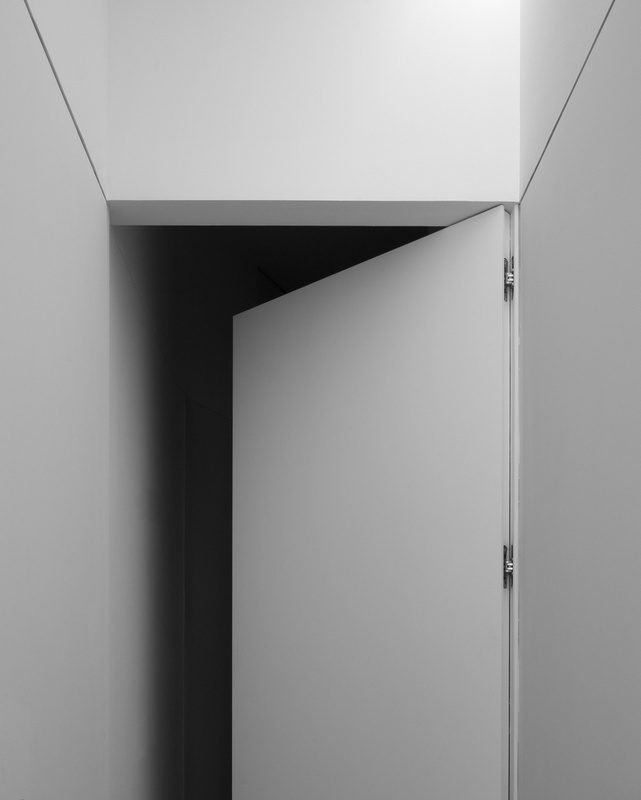 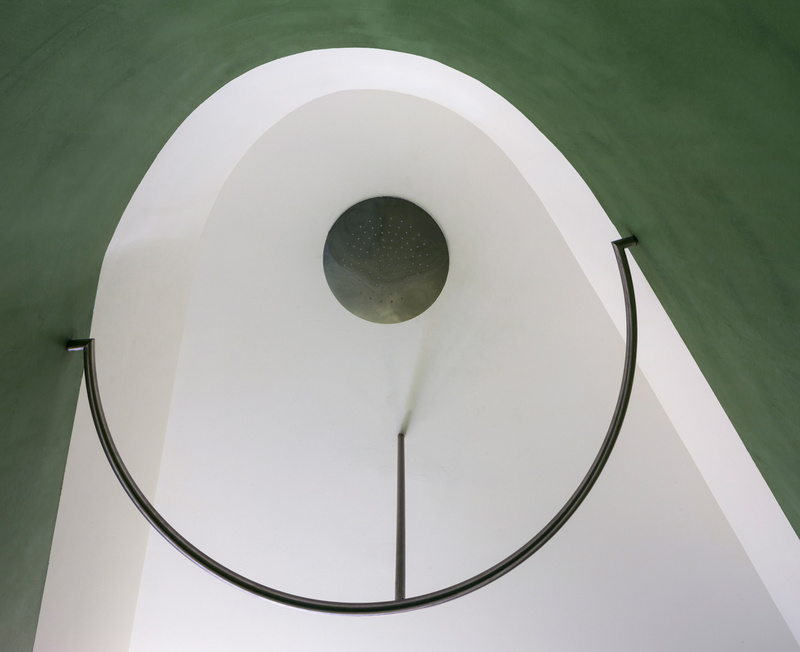 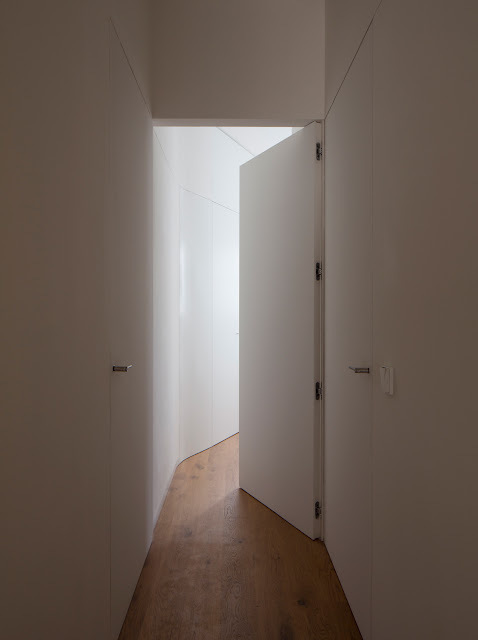 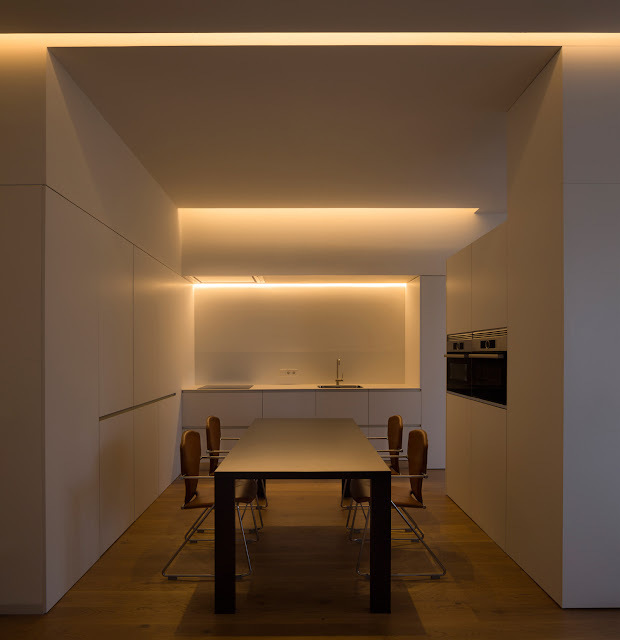 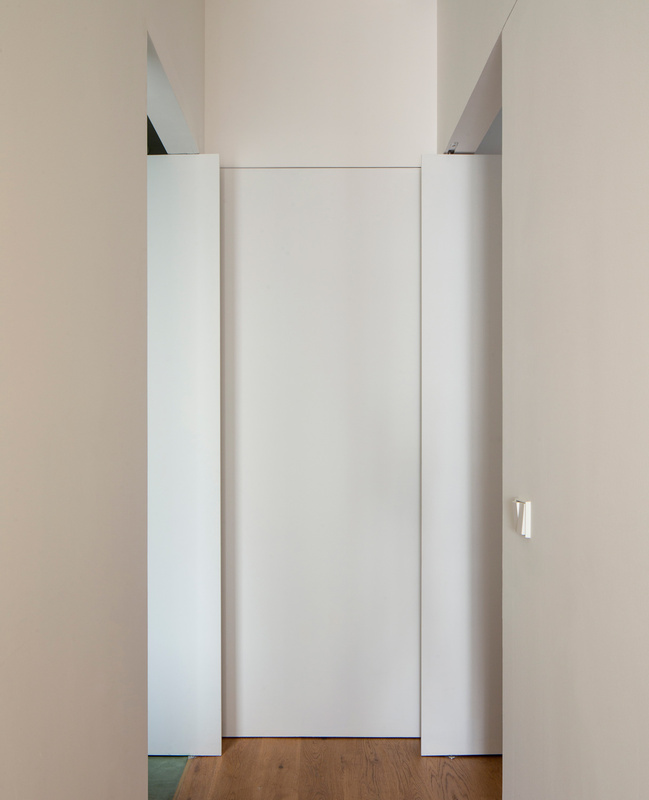 The completed project inverts this initial position, creating a diaphanous space for the living area along with the entryway to the house, and the bedrooms in the rear of the house, illuminated and ventilated by the interior courtyard. 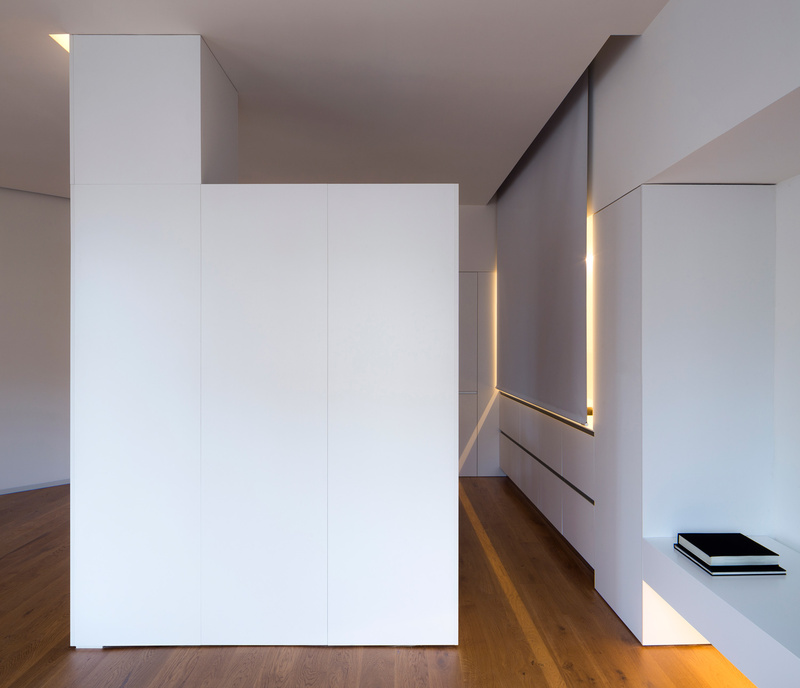 This distribution reflects the intention to organize the rooms with as few elements as possible in order to achieve longer sight lines. 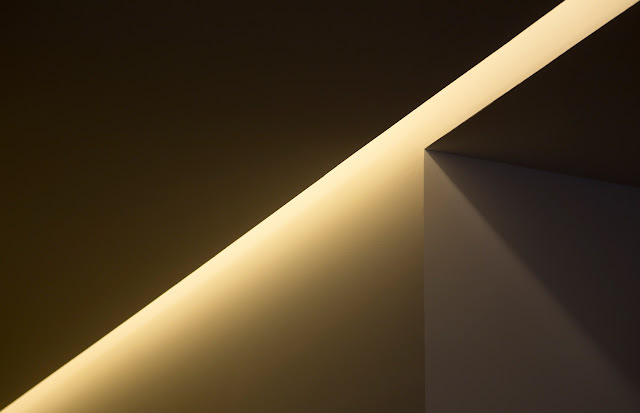 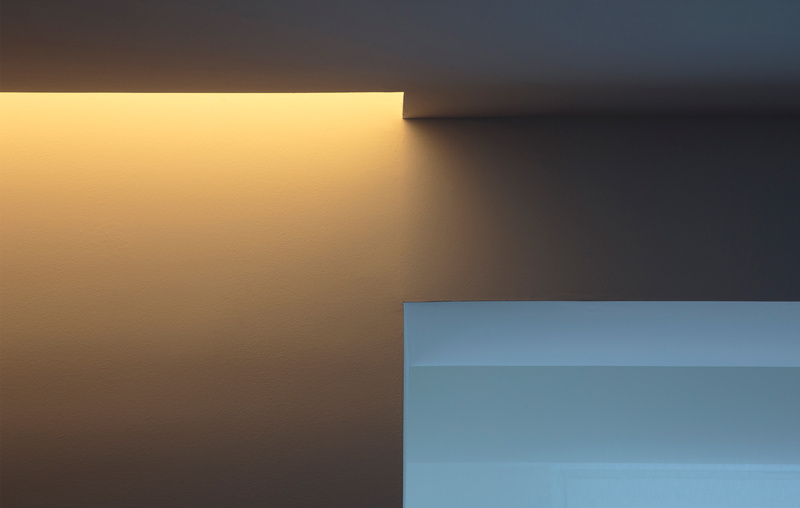 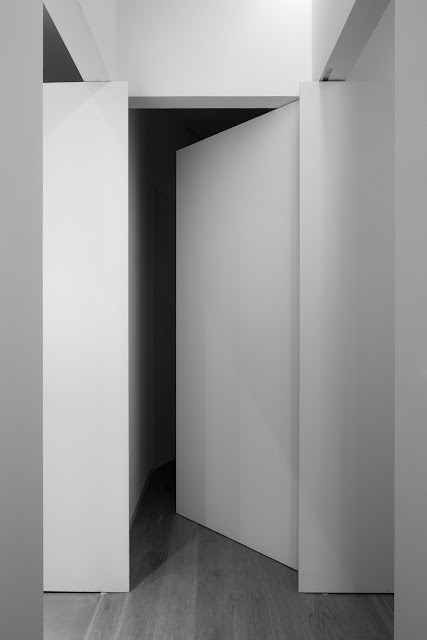 The line of light that extends from the hallway attempts to accentuate this effect. 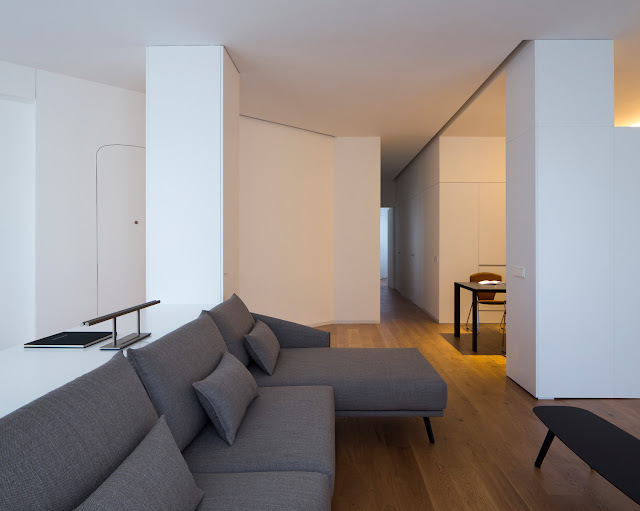 The interior space seeks to create a relaxed atmosphere in order to make the house a tranquil and restful place. 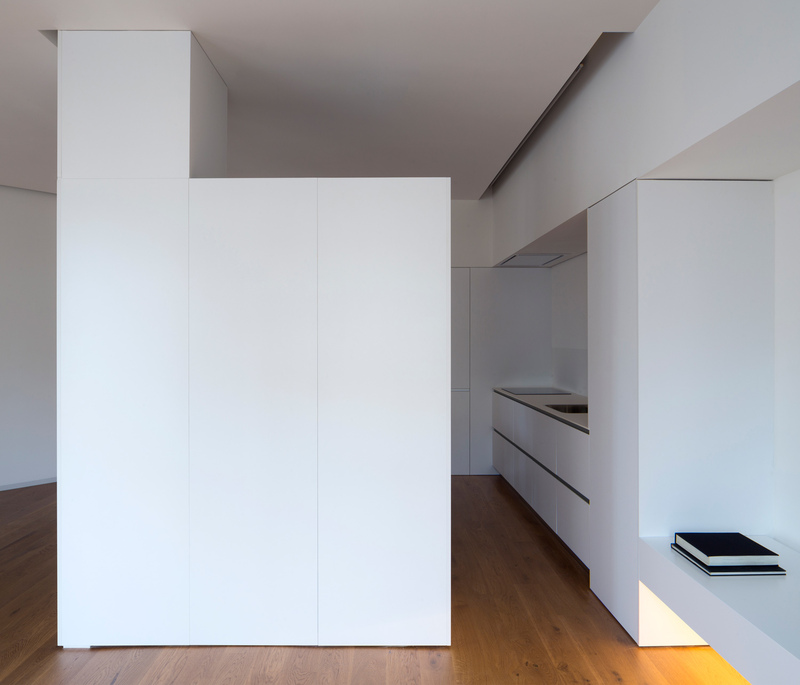 The walls, ceilings and fixtures are white. 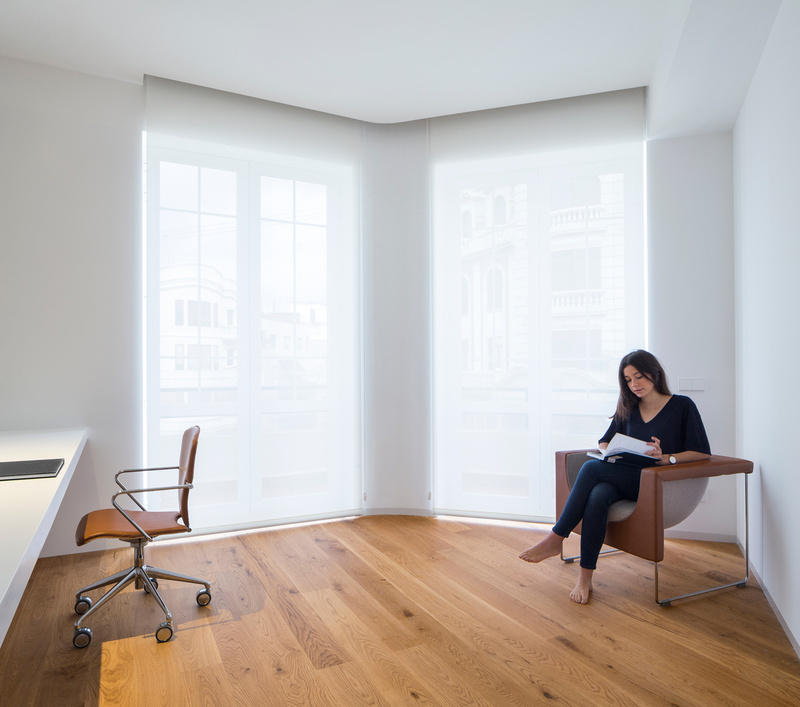 The natural oak wood flooring harmonizes with the warmth of the artificial lighting. 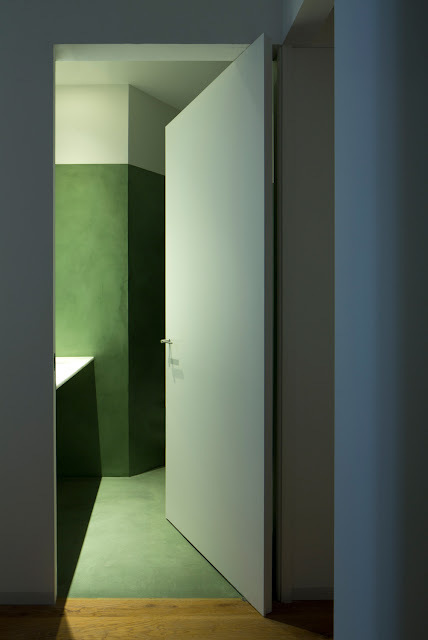 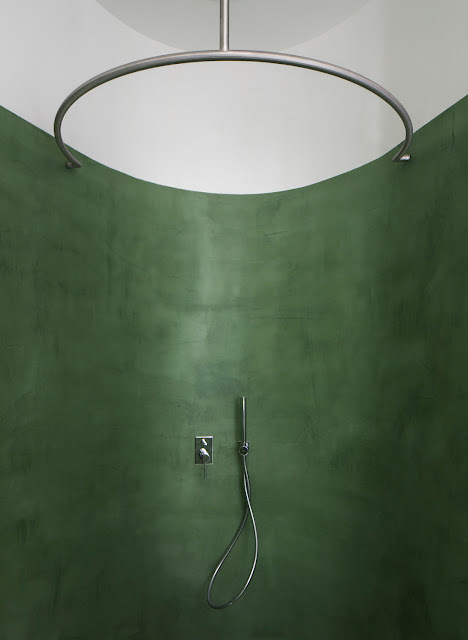 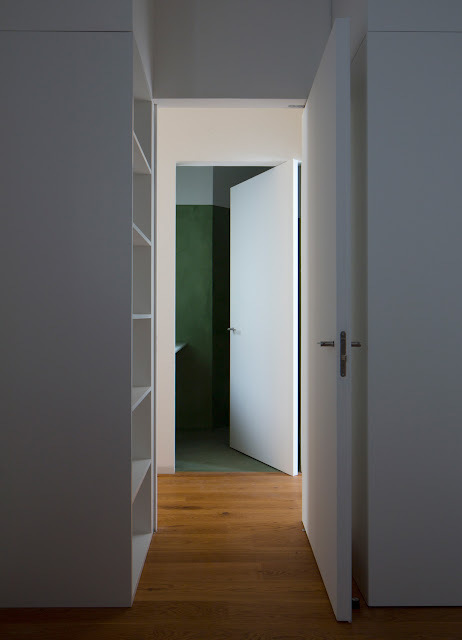 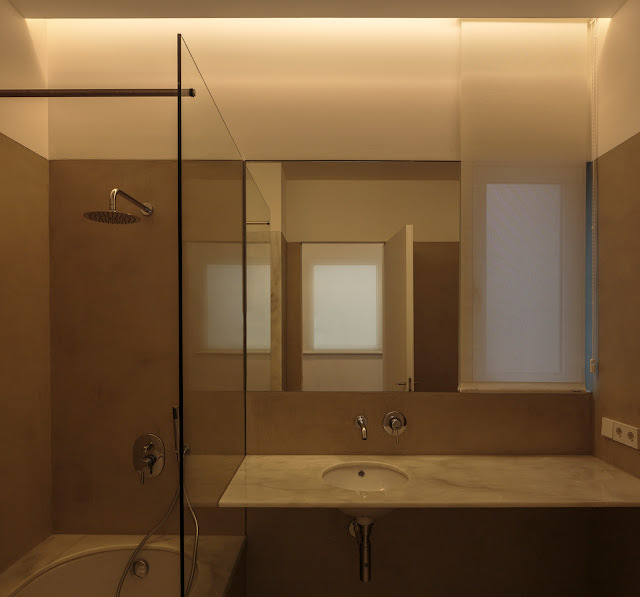 The main bathroom is green, responding to new considerations from the studio when investigating the space and materials.